Indira Nooyi, the world's leading cold drinks and food company PepsiCo, is going to resign from her post. [New Delhi]: Indira Nooyi, chief executive officer (CEO) of the world's leading cold drinks and food company PepsiCo, is going to resign from her post. After being CEO of the company for nearly 12 years, Nooyi will step down from the position of CEO on October 3. Ramon Lagarda working as the President of the company in his place will become the new CEO. The company's statement issued on Monday said that Lagarta has been included in the company's board of directors. Nooyi will continue to be the chairman of the company till 2019. Nooyi of Indian origin issued the statement saying, "I never imagined that I would have an opportunity to lead such an extraordinary company." He said, 'By continuously performing better while making more nutritious products, we have had a more meaningful effect in the lives of people, which I had ever dreamed'. 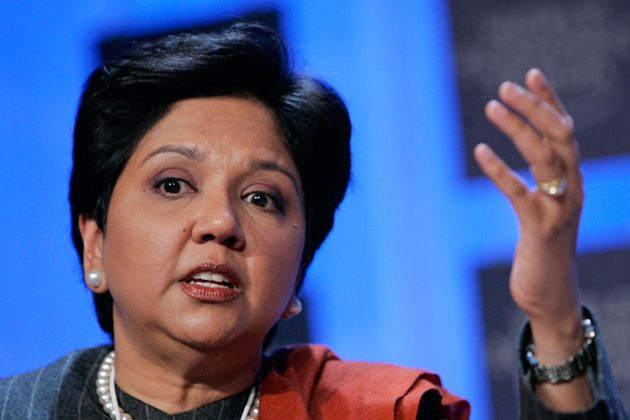 Nooyi said, PepsiCo is constantly growing and it is in a better place. It is also likely to grow further. Ramon Lagarta has been associated with this company for 22 years. Lagarta is overseeing global operations in the form of president from September, corporate strategy and public policy. Prior to this, Lagarta has worked as Leadership in European and Sub-Saharan Africa Divisions.